How to make coffee in the coffee maker? If there is a modern coffee maker at home, Making coffee in minutes. I poured coffee, He poured water, I pressed a button - and now is ready to drink a cup of fragrant. But not all, It is so easy, as it might seem at first glance. For a tasty drink is very important the correct grinding grains, and it depends on the type of coffee maker, so let's start with a definition of it. If you do not know, what kind of coffee you are at your disposal, read the instructions for it. For locust bean coffee makers The coffee is ground to be special, it is called thin grind for espresso. 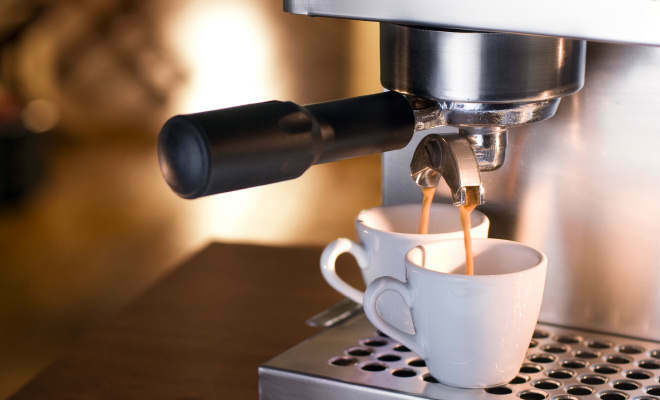 If you have to grind coffee to a coffee machine yourself, is guided by the, that the coffee particles must be smaller in size, than the grains of granulated sugar. Drip coffeemakers recommended medium or medium-large grinding coffee, like particle size of granulated sugar, but not smaller, since the filter can become clogged. With all of the capsule easier her coffee is sold in a special sealed capsules. Geyser coffee cook delicious coffee, if it will grind medium or medium-large. To coffee was strong, We need to put a sufficient amount of ground powder per serving in the coffee makers, where it is needed. In locust bean coffee machine coffee horn previously compacted. Pour water into the container only pure, bottled or spring, focusing on existing labels. Cup of coffee ready for pre parboiled, heating is required before serving, the flavor will be better disclosed. 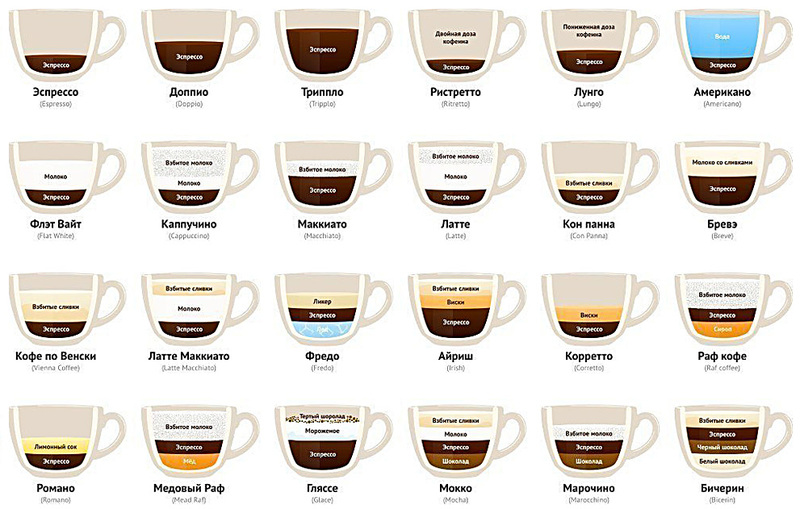 Fans prefer coffee with spices, dobavlyaya cardamom, cinnamon, black pepper, etc..
doppio - a double espresso. Ristetto - more concentrated espresso, welded to a lesser portion of water (20 ml). Lung - weaker espresso, water 60 ml. Americano - brewed filter coffee machine, large quantities of water. Affogato - ice cream with a portion of hot espresso. Torre espresso with a large cap of fluffy milk foam, dense and dry, which rises several centimeters over a cup of cappuccino. In which of the drinks contain more caffeine? How to store coffee properly?